LEVEL UP! Now that the end-of-year exams are over, it’s time to Level-Up! Subscribe to any package now and get your subscription period extended till *31 December 2019. Sign-up now to access preview versions of these papers – with TOPICAL EXERCISES & FULL STEP-BY-STEP WORKED SOLUTIONS for ALL LEVELS! *applies to new subscriptions only. Your existing subscription(s) (if any) will still end on 31 December 2018. The ONLY S’porean Secondary/O Level Mathematics Worksheets Online. 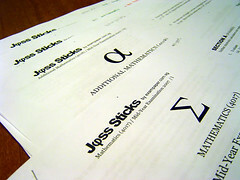 More than 3000 carefully hand-picked questions that are regularly used by Miss Loi in her Jφss Sticks Sessions. Full step-by-step worked solutions & answer keys, complete with relevant diagrams, construction, graphs & student-friendly pointers where applicable. A little more challenging than the standard Ten-Year Series of questions. Adapted from actual tests/exams of top schools in Singapore. 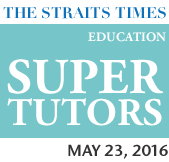 Follows latest exam syllabus and topics from Singapore’s top schools. Regularly vetted by teacher, tutor and student users. Pleasantly formatted with professionally-created equations, graphs & pretty diagrams. No poorly scanned, stressful-looking diagrams! 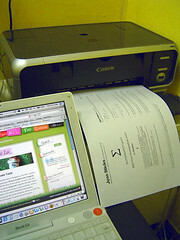 Print directly off this website right from the comfort of your home. Be notified & updated conveniently whenever errors are discovered. No more waiting for next revisions of assessment books! Fondly known as joss sticks, these legendary worksheets are an indispensable supplement to Miss Loi’s students in their crusade against the LMBFH Syndrome. Specially compiled with more than 20 years of experience and exposure to killer challenging exams, trends and generations of students’ grievances feedback from a wide plethora of Singapore’s top schools, these potent collections of Mid-Year / End-of-Year / Preliminary Exams and Topical Exercises are suitable for students looking to practice on a series of questions that are a little more challenging than the standard Ten-Year Series of questions (for upper sec students), that helps firm up their understanding via exposure to questions set by different schools. An advanced practice platform that is generally considered to be a little more challenging than the standard Ten-Year Series of questions (for upper sec students). Exposure to a wide variety of questions from different schools and all sorts of tricks they have up their sleeves. An increased awareness of critical questions that somehow miraculously recur in tests and exams conducted across various schools and institutions. The necessary foundation to bravely tackle all the evil and morale-sapping school tests, CAs, exams and ultimately the O-Levels. The experience of simulated full-length exam conditions by following closely the latest exam syllabus, structures and formats (for exam papers). Opportunities to catch commonly-committed mistakes (careless, dreaming or otherwise). Boost confidence on various topics through questions of progressive difficulties (for topical exercises). Opportunities to perfect understanding of various topics through creative question scenarios and approaches. * Sec Three EMaths topical exercises consist of selected topics taken from the O-Level EMaths package. * Sec Three AMaths topical exercises consist of selected topics taken from the O-Level AMaths package. To subscribe, first sign-up for your free account and print out free preview versions of these fabled worksheets directly off this website via your trusty printer right from the cosy comfort of your home. Note: These papers have been fully tested to be viewable on the following operating systems and web browsers to ensure that you (and your printer) will have a great time with the worksheets! *Requires Adobe Reader® to view and print the exam papers. Please kindly refer to the FAQs should you encounter any problem when attempting to view the worksheets.